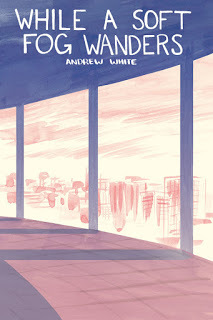 * Rob Clough on the comics of Andrew White. John Seven on You & A Bike & A Road. * this picture got a lot of attention. That's a lovely moment, and I'm happy for kids that were previously kept from seeing themselves in heroic roles in mass entertainment now beginning to have opportunities to see themselves that way. I think most people agree on that. I hope that's clear even when some of us distrust the corporate nature of some of these characters or are confused a bit wondering how healthy it might be for adults to have that same relationship to licensed properties that kids might. * in case you missed it, Flo Steinberg passed away. She was a notably nice person in a medium that has thousands of them, an important cog in the Marvel Comics culture of the 1960s, a key publisher in underground-to-independent comics and an object lesson for the ages in that her late 1960s departure from Marvel is a perfect example of how many of these companies have been unable to properly reward smart, capable people, particularly when they're not white males. * finally, Todd Allen speculates about possible DC tweaks in format regarding OGNs.